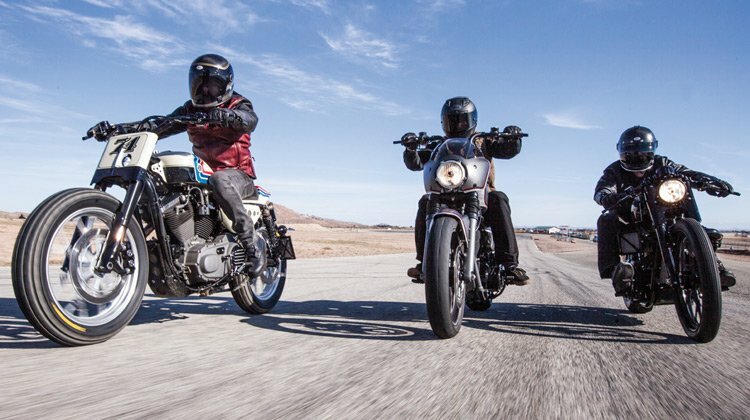 Our Roland Sands closing down Sale! Everything 25% to 40% off! We were the first company in the UK to offer Roland’s clothing back in 2012. We loved those original products, and they sold really well. They were so different to anything out there. We also liked, and still like, Roland; he’s the real article, a genuine cool biker guy. But the trajectory of those early days has not been maintained. The prices have gone up and up, and the quality of the gear hasn’t. 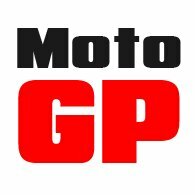 Frankly, we think that the corporation that owns the brand has lost its way and, to us, it is telling that our best-selling pieces are still the same ones that Roland himself designed in that very first season: the Ronin jacket, the Clash jacket, the Barfly and Diesel gloves, and so on. Well recently, the licensee passed the European distribution to a company that we think lacks the experience to manage the brand in the way we think it needs to be managed. And so we’ve decided to throw in the towel. But we have a huge amount of Roland Sands stock here at Legends Towers and so, because we want the space for other brands, we’re going to be running the mother of all Roland Sands Sales. Discounts will start at 25%, and go up to 40% on all lines, including the most current ones. Now whilst some styles will take a bit of time to move on, the most popular pieces, the stuff that everybody wants, will disappear quite quickly. So you may want to pull your finger out! Check below to visit the Sale. Who doesn’t like the idea of a leather biking jean? The problem is that most of them are not particularly nice, or comfortable, to wear. The Seth pants from Halvarssons are different; they’re a bit special. 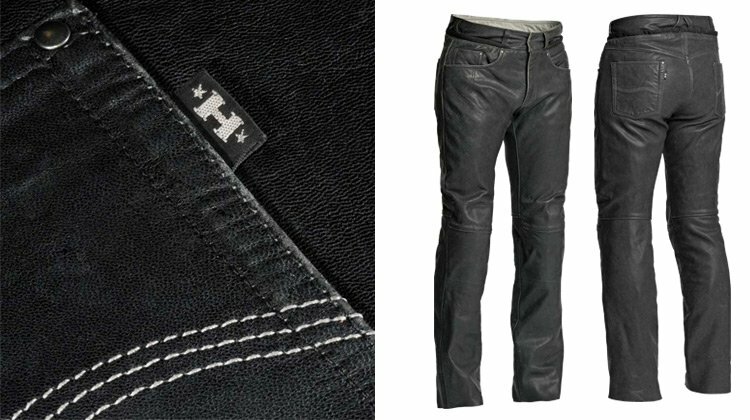 They’re made from goatskin, and have been designed very much in the style of a standard, five-pocket, Levi 501 jean. Goatskin is very supple, but massively strong, and to make it even stronger Halvarssons has lined it in all the most vulnerable areas with their Hi-Art material that increases the strength of the leather by 200%. The pants also come with armour in the hips and knees. This is a pair of leather trousers that will look after you on the bike, and make you look good off it. The opposite is also true! Halvarssons is probably best known for its technical, textile garments, but the company comes from Malung in Sweden, which is a very significant tannery town. This means that they have access to some beautiful hides. The new Eagle jacket is made from a washed goatskin that gives the jacket a wonderful patina. 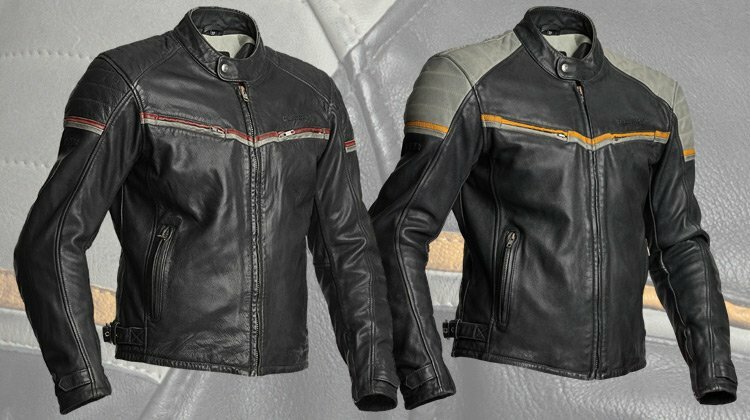 The jacket is incredibly light; it’s probably the perfect summer weight leather jacket. It’s very much a back-to-basics piece, so there’s no thermal liner, no waterproof membrane, and no venting, although it does come with armour in the shoulders and elbows. But you do get side adjusters and, of course, as it’s made by Halvarssons, you can zip it into any pair of jeans using their Waist Zip. You’ll never wear a more comfortable biking jacket; that’s for sure. 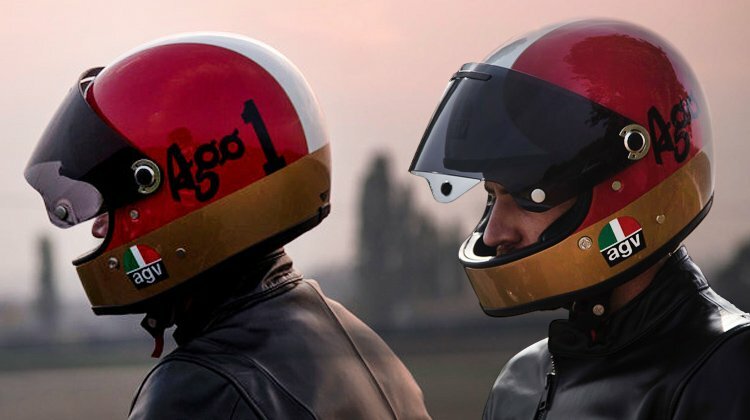 Late last year, AGV announced its new, retro-styled full-face helmet called the X3000. We were encouraged because it shows that the big players are at last taking the retro market seriously. The X3000 has a totally smooth and round shell that gives it a genuinely authentic period look. And we think it’s going to work better than most of the other ‘Sunday Morning’ lids out there. We announced the helmets on our site some months ago, but the one that has sold best is the limited edition Agostini version. It comes in a special carry bag, and costs quite a bit more than the other colourways, but at £549 it is much less expensive than the Hedon Heroine, and about the same as a number of the Bell Bullitts. But if you want one, you do need to get an order in now, as we think they’ll sell out on arrival. We reckon it should be here by the end of April. 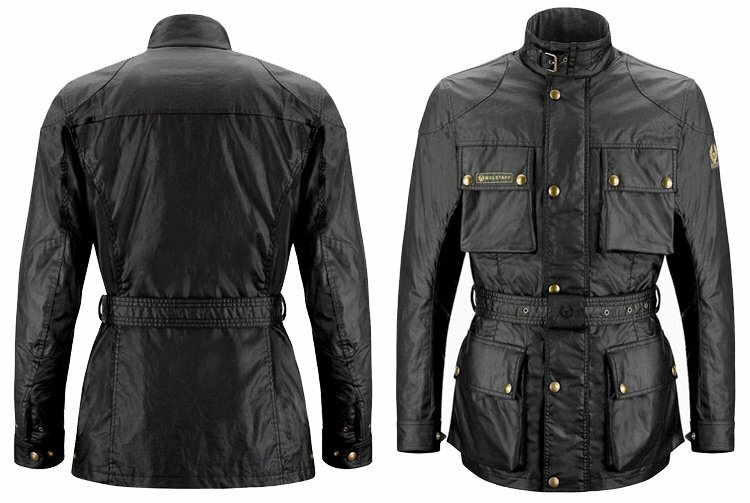 The Belstaff Trialmaster is a heck of a jacket. In one form or another it has been around since the fifties. It was almost a uniform for trial riders in those days, and when Charlie and Ewan rode around the world it was a version of the Trialmaster that they wore. The current Trialmaster, in its 10 ounce wax cotton fabric, is a bit of a beast. Jackets don’t come any tougher or more hard wearing, but for some it is simply too heavy and cumbersome, which is why, for some years, we’ve been asking Belstaff to make a lighter version, And this is it. It’s a perfect summer weight jacket. It comes with a fixed waterproof membrane, but no thermal liner. But that’s not a problem for us. Just layer up. We like the new version a lot; it is after all what we asked for.